If one component can be said to embody the innovation, quality and attention to detail that defined JBL, it has to be the D130. This wide range 15" driver was introduced in 1948 and remains in production to this day as the updated E130. This driver was responsible for establishing the nascent James B Lansing Sound as a force to be reckoned with in the loudspeaker industry. The D130 was the second low frequency loudspeaker introduced by James B. Lansing Sound after the D101 of 1946. It was personally designed and developed by James Lansing. It incorporated a 4" flat wire voice coil attached to a light, curvilinear cone with a 4" aluminum diaphragm instead of a standard dust cap to extend high frequency response. 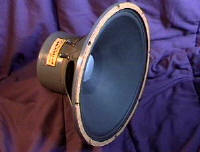 The coil was immersed in one of the strongest permanent magnetic fields yet developed for a loudspeaker. It resulted in a driver with outstanding sensitivity, range and dynamic response. The 4" flat wire coil was the single most innovative feature of this design. 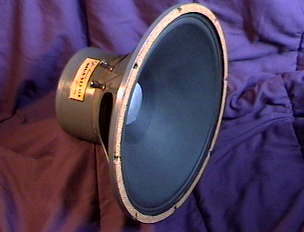 It was the first low frequency driver to incorporate a coil of this large diameter. To achieve the maximum motor strength, the coil gap was designed to be a very narrow 0.05". The degree of precision necessary to maintain such a large, exact circular shape for both the coil and the gap was unheard of at the time. It was years before competitors were able to match this feat. The advantages of this innovation are many. The large coil dissipates heat more efficiently, increasing power handling and reducing dynamic compression. The large coil also places more wire in the gap for fewer turns. This allowed the coil to use a single layer of wire that could fit in a narrower gap. The result is maximum utilization of the energy from the magnetic structure and maximum efficiency. Finally, the large diameter coil yields a stronger moving structure since the force applied to the coil is transferred to the cone over a larger area. The cone is therefore less prone to breakup. There virtually is no loudspeaker market for which the D130 did not find application. In the 1950's through the 1960's, it was the loudspeaker that defined the home hi-fi phenomenon. 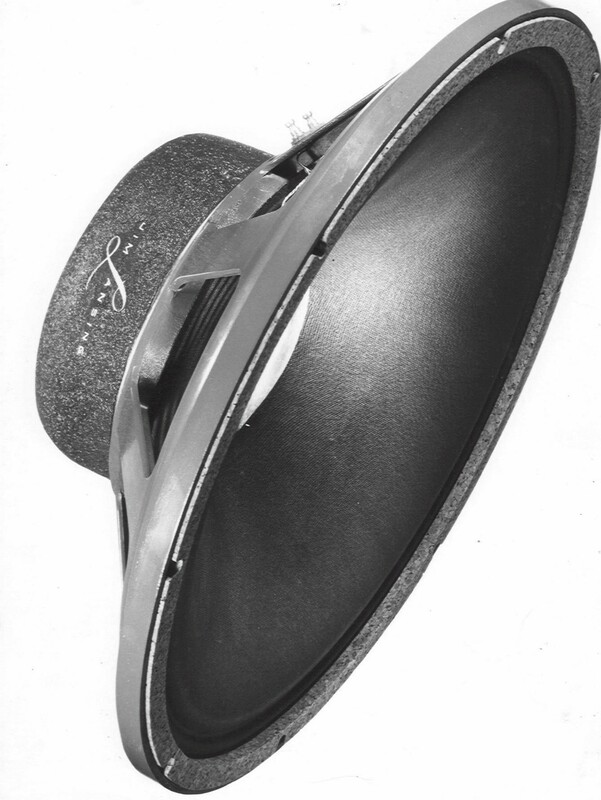 It was used in more component hi-fi systems of that era than any other speaker. It was the workhorse driver used in James B. Lansing Sound's first commercial systems for the movie industry. It became a mainstay in the musician's market after Leo Fender incorporated a version of it in his early amplifiers. 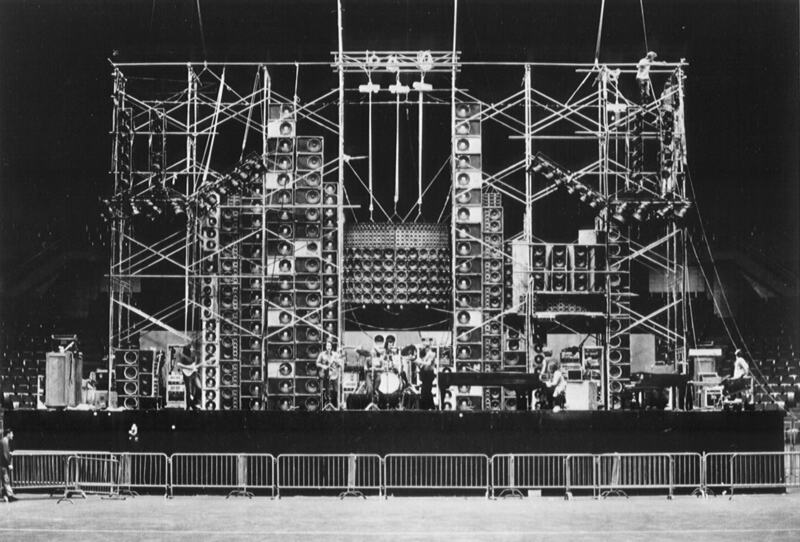 In the rock era of the seventies, it was common to see walls of D130's providing sound reinforcement at concerts. 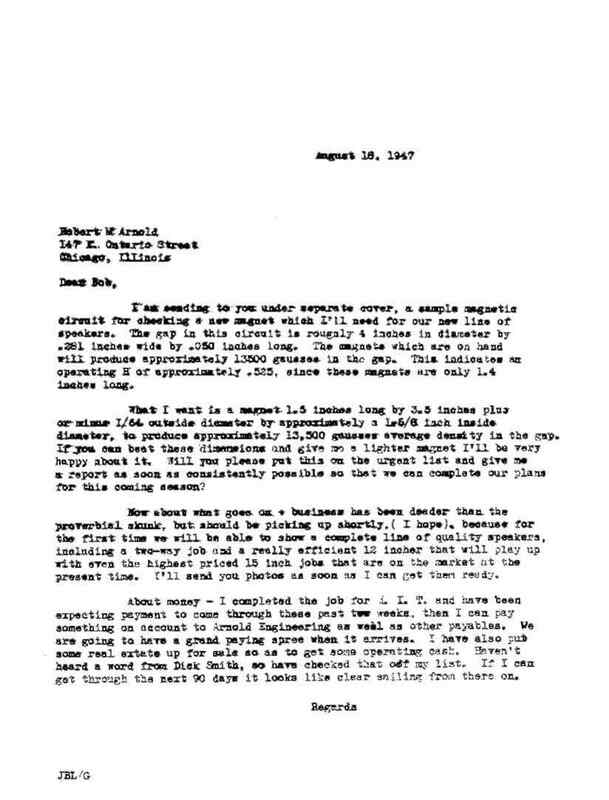 Illustrated at left is a letter written by James Lansing to Arnold Engineering, then the major supplier of Alnico V used in permanent magnets. It is a fascinating insight into the early days of James B Lansing Sound. It is a request for the development of a magnet to use in a brand new speaker James Lansing was developing. That speaker was the D130. 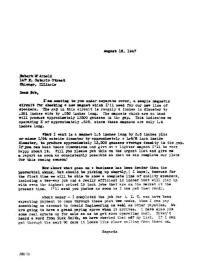 Most revealing are the closing paragraphs that embody both the hopes and the real world difficulties facing the fledgling company. Arnold was eventually able to produce the magnet that Lansing requested. However, constrained by the dimensions that Lansing had set for the magnet, the flux density was 12,000 Gauss compared to the 13,500 Gauss that Lansing anticipated. It was nonetheless a powerful magnetic structure that resulted in a new driver of unparalleled efficiency.